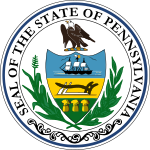 The 1998 United States Senate election in Pennsylvania was held November 3, 1998. Incumbent Republican U.S. Senator Arlen Specter won re-election to a fourth term. Leading up to this campaign, the state Democratic Party was in dire straits, as it was plagued by prior corruption allegations of several key legislators and by a lack of fund-raising. Just as in the accompanying gubernatorial race, the party had difficulty in finding a credible candidate. State Representative Bill Lloyd, who was a well-respected party leader but who had almost zero statewide name recognition, was considered[by whom?] to be a sacrificial lamb candidate. Specter ran a straightforward campaign and attempted to avoid mistakes, while Lloyd's bid was so underfunded that he was unable to air a single commercial until two weeks before the election. Lloyd's strategy was to portray Republicans as hyper-partisan in wake of their attempt to impeach President Bill Clinton, but he was unable to gain any traction with his message. On Election Day, Specter's win was by the second-largest margin in the history of Senate elections in Pennsylvania. Lloyd won only two counties: almost uniformly Democratic Philadelphia and his home county, rural and typically Republican Somerset County. ^ "Demo Lawmaker Wants Specter's Job". Allentown Morning Call. January 6, 1998. Retrieved August 20, 2010. ^ Kennedy, John J. (2006). Pennsylvania Elections: Statewide Contests from 1950-2004. United Press of America. ISBN 9780761832799. ^ "Statistics of the Congressional Election of November 3, 1998" (PDF). Office of the Clerk of the U.S. House. Retrieved July 8, 2014.